Now that I am catching up on posts, I will be mostly posting savoury recipes rather than desserts! Especially since I've bought the Cooking For One cookbook! I cannot wait to share the recipes with you, until now the dishes have been up to my expectation, and I hope they'll keep do that! 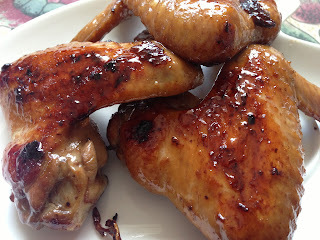 So yes, today's recipe is the Barbecued Honey Chicken Wings, I need to say I did not quite use the recipe as it is and did some minor changes! But I'll write about the changes I've made and why plus the original recipe as it is [See Note]! Rinse the chicken wings and pat dry with paper towels. Place the chicken wings in a shallow non-metallic dish. In a small bowl, combine the soy sauce, sherry, oil and crushed garlic. Pour mixture over chicken wings, slight toss to coat. 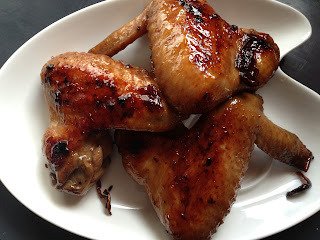 Cover the dish with plastic wrap and let marinate for 2 hours while turning the wings occasionally. Before you are about to grill the chicken, heat the honey for 30 seconds or until it reaches a brushing consistency. 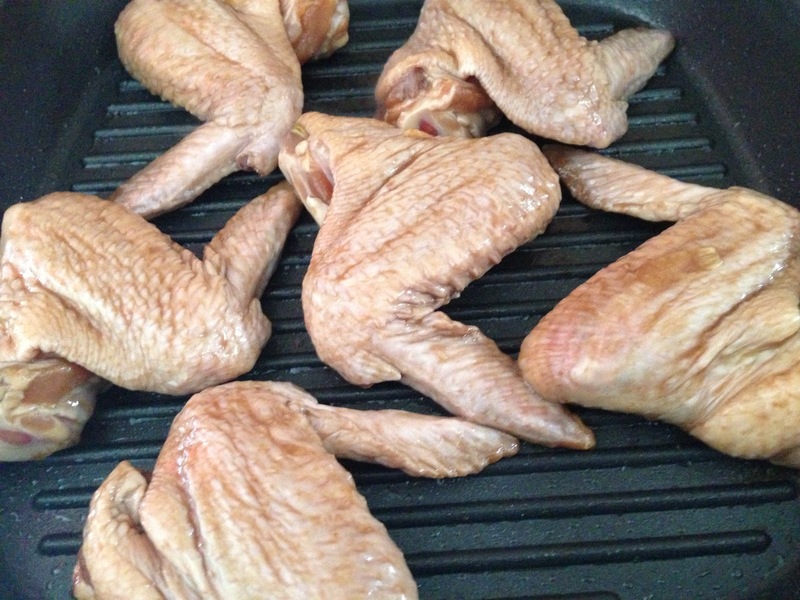 Gently grease a griddle pan, allow to heat and then plan place chicken wings onto it. Let cook until tender and cooked through, turning occasionally - this should take about 12 minutes. Brush with honey and let cook for another 2 minutes. 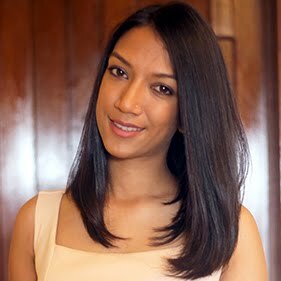 I've used 1½ tbsp of light soy sauce, 1 tbsp of dry red wine [It's my second time using wine for cooking, plus I didn't have Sherry so I substituted for a Merlot], 1 tbsp of oil [to make it a little bit healthier], and kept the rest of the ingredients as they were! 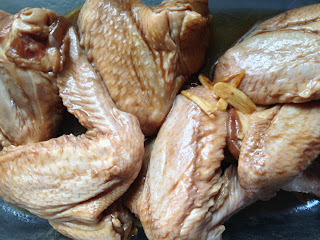 I also let the chicken wings marinate overnight, for better flavours!